Tomorrow we will publish the weekly Podcast News iPhone and, as always, come loaded with news. This time asked two questions that you can answer through our Twitter tag: # podcastiphone Comments will pick highlights in our program. The first question we're asking our fans is what is being your experience with iOS 6.1? Are you having problems with battery life or connectivity in your device? And here's another question you raised one of our listeners, have you made a donation to the creators of Jailreabk evasi0n? Yes or no? Why? Hope your opinions on # podcastiphone . Last week we became the most listened Technology Podcast and stayed in the Top 20 of the most downloaded in Spain. Thank you very much to all for following faithfully every seven days. Article What is being your experience with iOS 6.1? 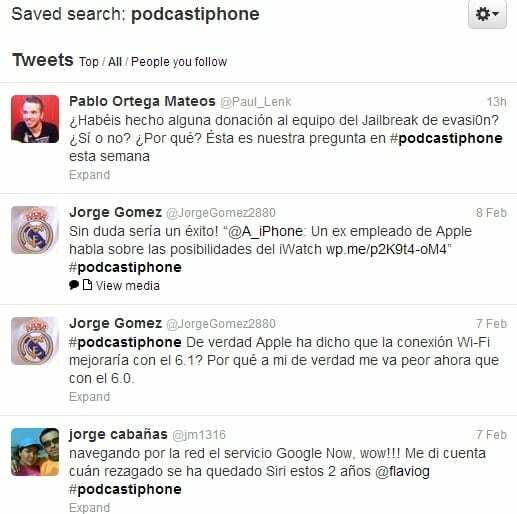 # Podcastiphone was originally published in News iPhone .